The publisher Drawn & Quarterly announced earlier today that it has acquired the world rights to publish Rolling Blackouts by Sarah Glidden. The book is planned for Fall 2014. The work details a trip to the Middle East Glidden took with friends from a journalist collective, exploring both the nature of that region's wars and the stories of the people that fought, opposed and covered those events. Glidden was the author of How To Understand Israel In 60 Days Or Less, an Ignatz-award winning mini-comic that became a mini-sales sensation in full graphic novel form when published at the end of 2010. 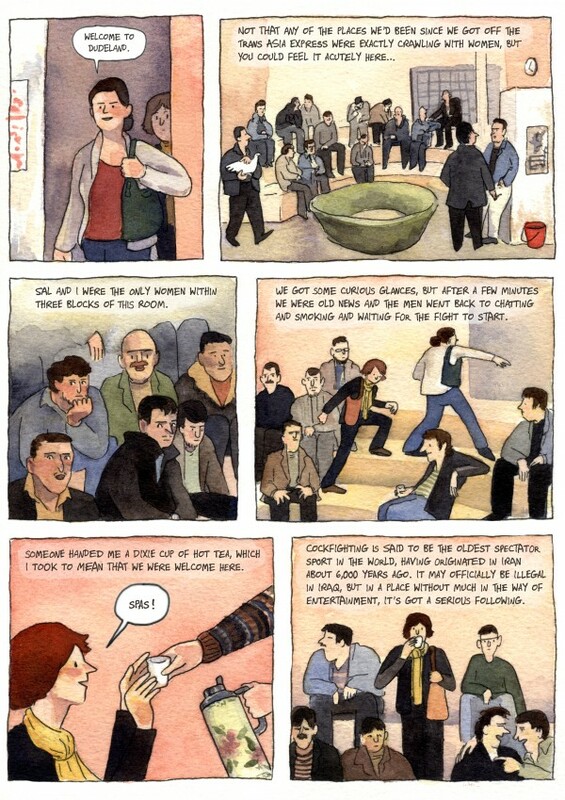 She's also won a Maisie Kukoc Award For Comics Inspiration. Glidden spent last year as an artist-in-residence at Maison des Auteurs in Angouleme. Her magazine clients have included Cartoon Movement, Ha'aretz and Jewish Quarterly. The usual D+Q publishing arrangements seem to apply: 1) distribution in the US by FSG; Canada by Raincoast. 2) Samantha Haywood of Transatlantic Literary Agency will represent international rights. Glidden's representative was Bob Mecoy.